“International Customer” shall mean, “Customer” from outside the United Kingdom. “Website” shall mean, <="" a=""> or any other subdomains which may be accessible unless expressly excluded by their own terms and conditions. 1.1 These terms and conditions are applicable to the supply of products made by the Seller, hereafter referred as Springfield Beauty Salon, to the buyer hereafter referred as the Customer. 2.3 All prices are quoted in GB Pound Sterling. 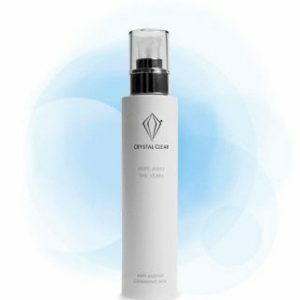 2.4 The Website contains a large number of products. It is always possible that, despite our reasonable efforts, some of the products on the Website may be incorrectly priced. If we discover an error in the price of the products you have ordered we will inform you of this error and we will give you the option of continuing to purchase the product at the correct price or cancelling your order. We will not process your order until we have your instructions. If we are unable to contact you using the contact details you provided during the order process, we will treat the order as cancelled and notify you in writing. Please note that if the pricing error is obvious and unmistakeable and could have reasonably been recognised by you as a mispricing, we do not have to provide the products to you at the incorrect (lower) price. 4.1 Springfield Beauty Salon shall retain the property of the goods until full payment has been made by the Customer and has been received. The Customer will own the goods once full payment has been received by Springfield Beauty Salon. 5.1 All Orders are subject to acceptance and availability. Upon placing an Order with Springfield Beauty Salon, the Customer will receive an order acknowledgement and subsequent update email(s). Receipt of the acknowledgement and these emails does not confirm that the Order has been accepted by Springfield Beauty Salon. Order acceptance and the creation of the contract between Springfield Beauty Salon and the Customer will start at the time the products ordered by the Customer are despatched from Springfield Beauty Salon’s warehouse to be delivered to the address supplied by the Customer. 5.2 Springfield Beauty Salon will take all reasonable care, in so far as it is in its power to do so, to keep the details of the Customer’s Order and payment secure, but in the absence of negligence on its part Springfield Beauty Salon cannot be held liable for any loss suffered by Springfield Beauty Salon if a third party procures unauthorised access to any data you provide when accessing or ordering from the Website. Unfortunately, the transmission of information via the internet is not completely secure. Although we will do our best to protect your personal data, we cannot guarantee the security of your data transmitted to the Website; any transmission is at your own risk. Once we have received your information, we will use strict procedures and security features to try to prevent unauthorised access. 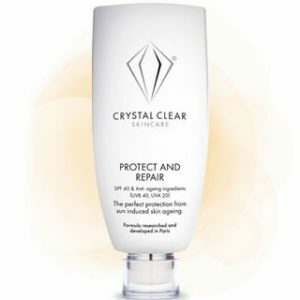 5.3 Products purchased from Springfield Beauty Salon are not for re-sale or distribution. Springfield Beauty Salon can at its sole discretion restrict ordering to a maximum of 5 pieces of any individual products and reserve the right to cancel any Orders which are suspected are being purchased for re-sale or distribution. 6.1 Any date or period for delivery shall be considered as indicative only, although it is our policy to try to despatch all orders within 3 working days. Any products not available at the time of your order will be sent to you, as soon as possible, when received from the supplier. Springfield Beauty Salon cannot be held responsible for delays in the delivery caused by the supplier, the carrier or any other third party. 7.1 All Orders will be delivered using the service as detailed at time of ordering. Further details regarding delivery methods and services can be found atbeautysalonwakefield.co.uk/delivery. Springfield Beauty Salon has the right to fluctuate any prices in proportion with its costs for shipping. The Customer must request any other delivery method at the time of order and goods will be shipped under the Customer’s responsibility as defined in clause 8. 8.2 In the event of an order being lost by a third party, Springfield Beauty bears no risk once it has left their trading premises. Where goods have been received damaged, a refund/exchange application will only be acknowledged if the goods are returned together with their original packaging within 14 days of receipt to the Springfield Beauty Salon trading address, also see clauses 9 and 10, below. 8.5 In the event of either of the circumstances detailed in clause 8.2 or 8.3, Springfield Beauty Salon will forward a claim to the carrier on the behalf of the customer. Before this can be processed, Springfield Beauty Salon will issue the customer with a ‘Lost Orders Form’ which must be completed and returned before any claim can be pursued. 8.6 This is not a guarantee and Springfield Beauty Salon has the right to refuse any application. Any refund/exchange given is at the discretion of the management of Springfield Beauty Salon. Failure to give accurate information while making a claim may lead to a prosecution. 9.1 The Customer shall inspect the goods within a reasonable time after their receipt and shall be deemed to have accepted the goods unless within 14 days after their receipt the Customer shall have notified the seller in writing or by email that the goods are rejected (this does not however affect the customer’s statutory rights). If no such action has been taken, Springfield Beauty Salon shall consider the products being as described, of satisfactory quality and fit for their purposes, and may not accept any reject at a later date. 10.1 If the goods are to be rejected in the time limit set in clause 9 above, the Customer shall comply with the return procedure as defined in clause 10.2, below. Springfield Beauty Salon will not accept any returned goods should the return not follow the aforementioned return procedure. 10.2 The Customer must follow the returns policy set out on the reverse of their invoice or as detailed on beautysalonwakefield.co.uk. This requires emailing Springfield Beauty Salon (hello@springfieldbeauty.co.uk) to notify their intention to return any goods. 10.3 In cases where the rejection of the goods is due to a defect or discrepancy in the order, the Customer is entitled to a full refund or replacement. The faulty or damaged product must be returned to Springfield Beauty Salon before the refund or replacement can be issued. We will examine the returned product and will notify you of your refund within a reasonable period of time. We will usually process the refund due to you as soon as possible and, in any case, within 30 days of the day we confirm to you that you were entitled to a refund for the defective product. Products returned by you because of a defect will be refunded in full, including a refund of the delivery charges for sending the item to you and the cost incurred by you in returning the item to us. 10.4 In cases where the rejection is due to an incorrect order from the Customer or to dissatisfaction, the Customer is entitled to a partial refund (full refund of the goods less any postage costs), unless the order is cancelled within the cooling off period in accordance with clause 11, in which case a full refund will be given. However, the Customer will be responsible for the cost of returning the item to Springfield Beauty Salon. Goods must be returned to Springfield Beauty Salon before the partial refund can be issued. 11.2 Within 7 working days after receipt of the goods, the Customer must contact Springfield Beauty Salon in writing via the contact details below. The goods must be ‘as new’ and unused, in original undamaged packaging, including all items and free gifts received. It is the Customer’s responsibility to take reasonable care of the products until their return to Springfield Beauty Salon. Springfield Beauty Salon will consider that the Customer has not taken reasonable care if the goods have been used in a way or extent, exceeding what a customer would similarly examine the goods in a retail shop prior to purchase. 12.4 As a consumer, you have legal rights in relation to products that are faulty or not as described. Advice about your legal rights is available from your local Citizens’ Advice Bureau or Trading Standards office. Nothing in these Terms will affect these legal rights. 13.1 Any information passed through to Springfield Beauty Salon is managed in accordance with the Data Protection Act 1998 and is passed through a secure connection on the internet using Secure Socket Layer technology at 128bit encryption (where browsers will allow). If a customer wishes for their information to be removed from our database, this should be requested in writing to hello@springfieldbeauty.co.uk. 13.3 Information that you provide by filling in forms on the Website. This includes information provided at the time of registering to use the Website and purchasing goods. 13.6 We may collect information about your computer, including where available your IP address, operating system and browser type, for system administration and to report aggregate information to our advertisers. This is statistical data about our users’ browsing actions and patterns, and does not identify any individual. 13.7.1 To ensure that content from the Website is presented in the most effective manner for you and for your computer. 13.7.2 To provide you with information, products or services that you request from us or which we feel may interest you, where you have consented to be contacted for such purposes. 13.7.3 To carry out our obligations arising from any contracts entered into between you and us. 13.7.4 To allow you to participate in interactive features of our service, when you choose to do so. 13.7.5 To notify you about changes to our service. 13.8 We may also use your data, or permit selected third parties to use your data, to provide you with information about goods and services which may be of interest to you and we or they may contact you about these. 13.10 Please note, credit card details are not retained online. The only information stored is a customer’s transaction history, name, address & e-mail address. 13.11 By submitting your email address in connection with the order/purchase process, you agree that we may use your email address to contact you for matters regarding your order and other promotional activity. If you wish to cancel your subscription to Springfield Beauty Salon mailings, you can do so at any time by scrolling to the bottom of the email and clicking on the unsubscribe link. Alternatively, email hello@springfieldbeauty.co.uk with a request to be removed. 14.1 The Customer shall respect all licence agreements delivered by the copyright owners. Springfield Beauty Salon cannot be held responsible or liable for any misuses conducted by the Customer or any third party. 14.2 All trademarks shown on beautysalonwakefield.co.uk belong to their registered owners and must not be copied without prior permission. 13.1 Customers from outside the UK can only pay by International credit card and must pay in GB Pound Sterling unless otherwise specified. All other terms and conditions apply. 17.1.1 All Gift Card values can only be purchased and redeemed in GBP (British Pounds). 17.1.2 Your Gift Card will be sent instantly to the email address specified when ordering and will be available for redemption within 48 hours. 17.1.3 Gift Cards cannot be purchased using another Gift Card, a discount voucher or other such promotional codes. 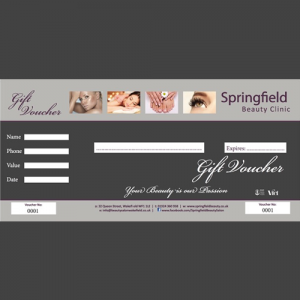 17.2.1 Gift Cards must be assigned to a Springfield Beauty Salon website account before they may be redeemed. To check the balance of your Card(s), login into your account at https://beautysalonwakefield.co.uk/account/giftcards . 17.2.2 Gift Cards can only be assigned to one Springfield Beauty Salon account. Once registered, the card cannot be registered by another user. We cannot unregister a card from an account. 17.2.3 Gift Cards can be redeemed only at beautysalonwakefield.co.uk and not on any third party’s website. 17.3.1 Gift Cards may be used in conjunction with other payment types. If your order value is greater than your Gift Card balance, you can use an alternative payment method to cover the difference. 17.3.2 Gift Cards may be used across multiple purchases. You do not need to redeem the full balance in a single transaction. 17.4.1 Gift Cards cannot be refunded or returned except in accordance to your legal rights. 17.4.2 Where Gift Cards have been redeemed for the purchase of items that are subsequently returned, the refund will be applied to the Gift Card balance. Where Gift Cards have been used as part payment for items that are later returned then the balance will first be applied to the Gift Card to restore the balance to the pre-purchase amount, and then to the additional payment method. 17.4.3 Gift Cards are valid for 12 months from date of issue. When a balance is redeemed, we will extend the expiry date by 12 months from the last usage. 17.4.4 There are no refunds on unused balances. Any unused balance will remain on the Card until redeemed or the Card expires (12 months from last usage). Unused balance cannot be converted into cash or refunded. 17.5.1 Springfield Beauty Salon are unable to replace any lost or stolen Cards. We recommend that they are treated as cash and assigned to the recipient’s Springfield Beauty Salon online account as soon as possible. 17.5.2 We reserve the right to refuse any Gift Card that is suspected to be tampered with or deemed fraudulent. Gift Cards that have the original payment reclaimed or refused will be cancelled. 17.6.1 We reserve the right to change these terms and conditions at any time without prior notice. 18.1 These terms and conditions are governed and shall be interpreted in accordance with English Law. Any person attempting to make fraudulent credit card transactions will be prosecuted with no exception. 19.1 To take full advantage of your personal treatment time with Springfield Beauty Salon we encourage clients to arrive 15 minutes before your appointment time. This means we can fully understand your dreams, hopes and desires from the treatment and live up to your expectations. Sadly arriving just 5 minutes late will mean we have less time to dedicate to you and will reduce your wonderful treatment experience. 19.2.1 The treatments you have booked are especially devoted to you. A 48 hour cancellation notice is kindly required or we regret a 50% fee of the total treatment cost will be charged. 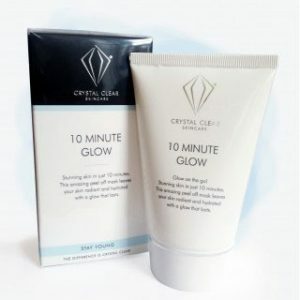 19.3.1.1 We take your personal satisfaction and safety very seriously, so to help us maintain our 5 star service, all clients who have not enjoyed a tanning treatment with Springfield Beauty Salon within the last 6 months are required to have a tint test 48 hours prior to their appointment. 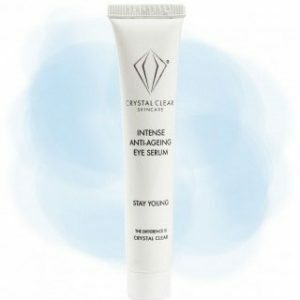 19..3.2.1 Clients who have not previously had eyelash or eyebrow tinting with Springfield Beauty Salon, or have not had this service within the last 12 months are required to have a tint test 48 hours prior to their appointment. 19.4.1 There are contra-indications relating to some spa treatments. Clients with heart conditions, high / low blood pressure, circulatory disorders, gynecological disorders, epilepsy, arthritis / rheumatism, diabetes, pregnancy, allergies and possible other conditions are recommended to seek the advice of their doctor prior to booking. 19.4.2 If you have any concerns please check in advance with us (and where appropriate your doctor) prior to making your appointments. If any treatment is found to be unsuitable, a qualified therapist will recommend, where possible, an alternative treatment, subject to availability. 19.5.1 We understand about busy lives and the need to remain available, if this means you have to have a mobile phone we simply ask that it gets turned to silent. 19.6.1 When visiting the Spa we recommend minimal jewellery as it can easily be lost and can hamper treatments. 19.6.2 No items may be left on the premises when you depart, please ensure that you take all your belongings with you. 19.6.3 Finally, please note these prices are exclusive to each salon and are subject to change without prior notice. 19.7.1 Spa Days are payable in advance and subject to normal terms and conditions. These prices are valid at Springfield Beauty Salon Wakefield only and are subject to change without prior notice. 19.8.1 The Spa Day treatments you have booked are especially devoted to you. A minimum of 48 hours notice is kindly required for the cancellation of Spa Days. We regret that all Spa Days are non refundable but can be moved to an alternative day providing 48 hours notice is given. Group bookings of 5 or more require 21 days written notification and all Spa Days must be pre-paid. Warm thanks for your understanding and support in helping us to be the best we can be for you.